As we age, our skin naturally changes. Throughout our lives, we are exposed to UV radiation from the sun, any number of airborne toxins, a natural decrease in collagen production, and years of wear and tear on our skin. Consequently, our skin loses its vibrancy and elasticity and begins to wrinkle, sag, and develop new spots. At Aesthetic & Dermatology Center, professional skin exams are the cornerstone of our preventative skin care maintenance. Your board-certified dermatologist will thoroughly examine your skin from head to toe in an effort to determine whether you have any worrisome spots or moles on your skin. Your skin examination often includes photographs of any moles or areas of concern so your dermatologist can keep a record of any minute changes to these areas. 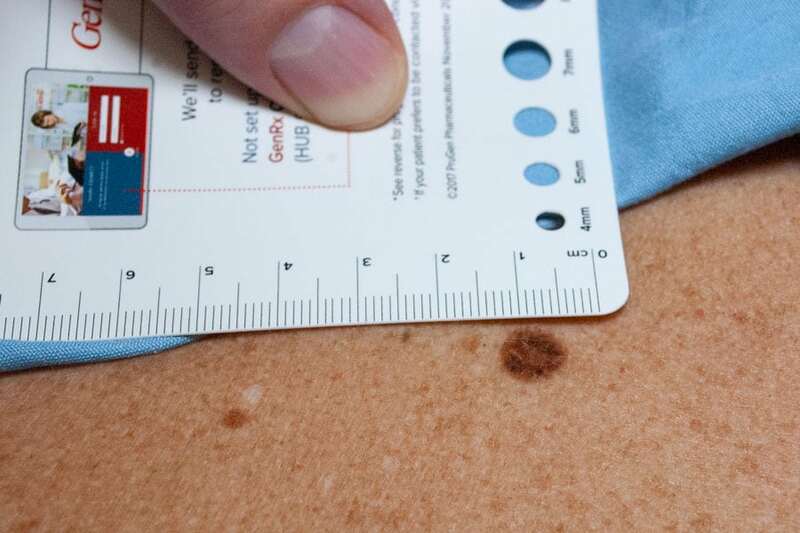 Any areas of concern or moles that need further examination can be removed and biopsied using surgical techniques. Regular preventative skin exams are the only way to ensure early detection of any problematic skin conditions. Skin Cancer: Skin cancer varies in shape, size, color, and texture. Early detection is essential to the prompt and effective treatment of skin cancer. Mole Check: While most moles are normal and not concerning, some moles can become abnormal or develop into melanoma cancer. Any mole that has changed in shape, color, size, or texture should be examined promptly and removed if necessary. Our expert dermatologists at Aesthetic & Dermatology Center is highly-trained and experienced in performing skin exams. It is our top priority that you receive a thorough exam that addresses any concerns that you may have about your skin health. We pride ourselves on maintaining an open and honest dialogue with you about your skin health and any areas of concern. At Aesthetic & Dermatology Center, you will receive the high-quality and individualized care that you deserve. Your skin health is our top priority. If you haven’t had a skin exam in the last year or are worried about any moles or spots, it may be time to make sure that your skin is aging the way it should be. Call our office today at (301) 610-0663 or request an appointment online.